What type of information can be captured with Dario™ software? How to turn on Dario™ test reminder? What types of devices can run with Dario™ app? How can you change the language of the Dario™ app? Can a single log entry be deleted from Dario™ App? I accidentally deleted my Dario™ application. Does this mean that I lost all of my readings and annotations? No. All your information is saved under your username even after deleting the application. 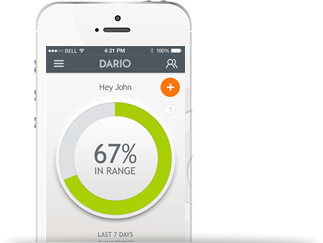 You can re-install the Dario™application or log into MyDario website to view all your data and charts. Can I share my results with my caregiver through the Dario™ app? Is all the data that’s logged on my Dario™ app available on the website as well? Does Dario™ require initial calibration? How can I check the Dario™ meter accuracy? DarioTM smart meter follows the ISO 15197:2013 exacting accuracy requirements. Control solution is available for purchase in situations when you might want to recheck the accuracy. What happens if I use expired Dario™ test strips? Does Dario™ have a memory limitation? How can I get a Dario™ smart meter? 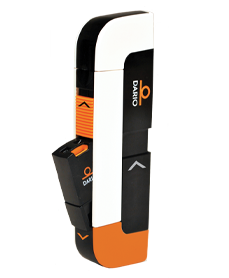 The Dario™ SW can be downloaded from the Apple Store or from the Google Play Store free of charge. Dario™ smart meter is available at pharmacies or could be order online on the Auto Control Médical Shopping Website. For more, details contact your Dario™ local representative Auto Control Médical at 1-800-461-0991. Is Dario™ smart meter compatible with iOS and Android devices?